In early August of last year, thanks to a recommendation from Rennie of starkweather, I discovered a song called “Legacy” by a solo project named Vorean. As I wrote then, I found it “little short of astonishing”. Rennie likened it to the sound of Florida’s Solstice, with a hint of black metal. It reached out almost immediately and seized me by the throat with the first instances of a bleak, twisted melody, and then erupted into an electrifying rush of hyper-speed riffing and blazing drum fire, with Vorean crying out in scalding howls. 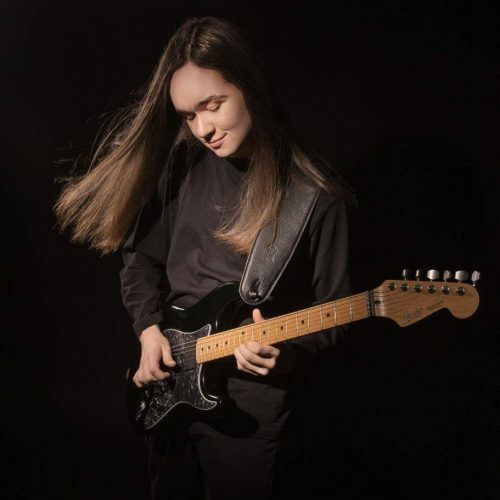 That track displayed a lot of very impressive guitar work and a lot of compositional talent as well, becoming melodically memorable as well as just downright jaw-dropping in its execution. And part of what made the track — and the whole album from which it came — so astonishing was that it was the work of a single individual from Powell River, British Columbia (Ryan C. Schmeister) who had just turned 19 years old at the time of its release. Since the release of Vorean’s self-titled album, Ryan has turned his talents in other directions, perhaps having succeeded in purging some of his darker feelings through that album’s eruption of blackened death metal. 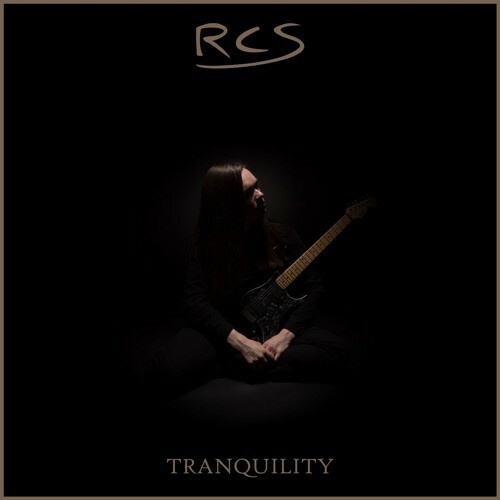 His new album, which will be released under his own name as a “pick your own price” download via Bandcamp on July 7th — his 20th birthday — is entitled Tranquility. As was true of Vorean, he wrote, produced, recorded, programmed, engineered, mixed, and mastered the album, over the course of four years. As Ryan explained in our exchange of messages about this new album, his primary influences in creating it were Devin Townsend, Anathema, Alcest, Type O Negative, and U2. Much of the music is flat-out gorgeous, which I guess might not be the most enticing descriptor to use for the usual visitors to our putrid site. And in fact, though I was so impressed with what I heard that I wanted to do something to help spread the word about Tranquility, I doubted that our site would be the best vehicle he might find for that. Nevertheless, he we are, premiering a track from the album — one that’s the most “extreme” of what’s to be found there. At the same time, I’m including a previously released track named “Away” that provides a better representation of the themes and sounds that the album as a whole delivers. To be clear, the music in “Victim” is itself beautiful — principally in Ryan‘s clean vocal melodies (and his singing voice, which he can send skyward in impressive fashion, is excellent). But that’s not the voice he uses at the very beginning, and the intensity channeled in that opening shriek (which appears again later) is also reflected in the song’s turbocharged drive, in its hammering drum rhythms and heavy bass pulse, and in its flashing and spine-jarring riffs and its darting leads. There’s also an undercurrent of darkness that courses through the music, as a counterweight to the music’s scintillating vibrancy and soaring expansiveness. Devin Townsend will indeed come to mind as you listen to the song, and that’s not a bad thing at all. And if it hooks you like it has hooked me, it will hang around your head, too, even after it’s ended. “Away” has a similar, shimmering keyboard opening, and is at least equally memorable. And while its hard-jabbing riffs are plenty heavy, that U2 influence really comes through in the Bono-like chorus. Gorgeous guitar solo in that one, too (there’s that word again). Look for Tranquility on July 7th at Bandcamp via the link below (it’s not there yet as of this writing, but it will be). This reminds me of Woods of Ypres. I get a big Devin Townsend vibe from a lot of the guitar work.. really really good album! I think it may be my favorite this year! This is great to read. Really glad you’re enjoying it so much (and I’m sure Ryan is too).